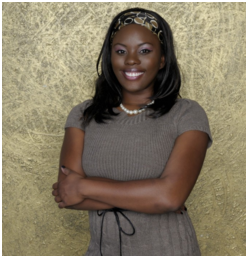 Dr. Laura Louis, Licensed Psychologist – I graduated Florida State University with a Bachelors Degree in Psychology and a Master’s Degree in Counseling. I completed an American Psychology Association (APA) accredited internship at Florida International University in Miami Florida. My Ph.D. was earned from Howard University’s APA accredited Counseling Psychology Program. I have worked in the field of psychology for over 10 years. I have expertise in multicultural counseling and couples counseling. I have specialized training in assisting couples with increasing intimacy and rebuilding trust after infidelity. I help couples build effective communication skills, so that both partners feel understood and validated. What’s more, I am experienced in working with a range of clinical issues (schizophrenia, bi-polar, major depression, anxiety, career counseling, and healing from a break up, acculturation issues for immigrants). With expertise in improving sleep and building stress management skills, I have provided consultation to organizations and agencies to improve their productivity and efficiency. Over the years, I have gained specialized experience with adults, youth and children in multiple settings including a psychiatric hospital, domestic violence shelter, community agencies, court systems, elementary/middle schools and college counseling centers. With regard to assessments, I have conducted psycho-educational evaluations with the D.C. Superior Court System for youth facing criminal charges. Additionally, I conducted neuro-psychological assessments within a college counseling center population. Working with adjudicated youth, I have developed programs to improve self-esteem, behavior functioning and college readiness. As a therapist, my role has been to provide a supportive safe environment to empower my clients. This allows them to make decisions, break past patterns and move closer to their goals. I use Schema and Cognitive Behavioral Therapy which focuses on recognizing and challenging unproductive and self -defeating thought processes. I take an active directive approach as we work together to create a treatment plan that transitions the work that we do in the office to my clients daily lives. Often times, when couples come to my office they are at a standstill or in intense conflict. I have used specialized Gottman techniques to treat a number of couples. With research experiences and lengthy clinical training, I have developed an expertise in working with couple to enhance communication, improve intimacy, develop conflict resolution skills, and rebuild trust after infidelity. Gifted Counseling has been awarded as a top Psychology practice with some of Atlanta's best Psychologists.